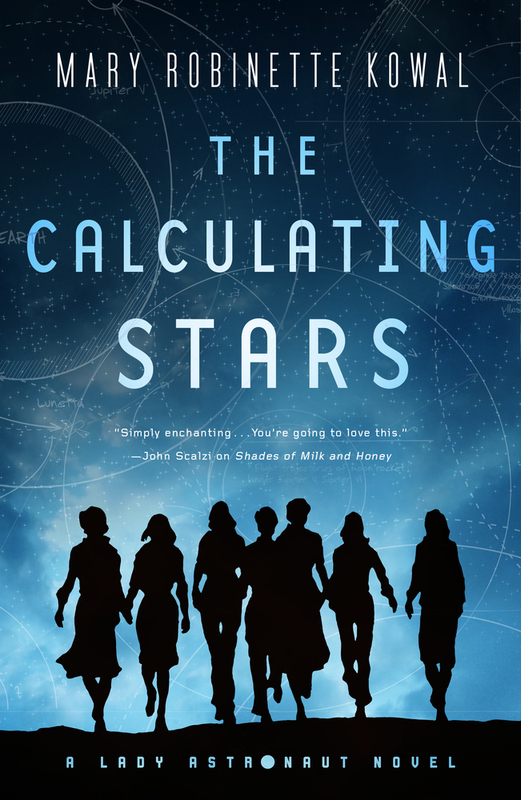 This is set in my Lady Astronaut universe after the events of Fated Sky, and is sort of my rollicking space adventure with pirates in a world where we settled Mars during the punchcard era. Let’s talk about Mars’s moons, shall we? I’m pretty sure that surface that the ship is on in Bob’s painting is Deimos, because that a) looks like Phobos in the sky and b) Deimos is farther from Mars. So my apologies for completely ignoring that. My problem was that while both moons are tiny, I had serious concerns about gravity on Deimos. The escape velocity is about 13 miles per hour, which could offer some interesting fiction possibilities since a running jump could, potentially, put you into orbit. I thought about it for about ten minutes until I learned about the Phobos April Fool’s Joke. See there was this Russian astrophysicist Iosif Samuilovich Shklovsky, who around 1958 said that Phobos was artificial with a “thin sheet metal” surface. Now, his data was way, way off, but in 1959, Walter Scott Houston, published an April Fool’s joke article by the fictional Dr. Arthur Hayall of the equally fictional University of the Sierras and said that Phobos was an artificial satellite. THEN I found out that Phobos actually does have caves so… all of that seemed like a really natural fit for “secret mission.” So, I ignored poor Deimos and went with the larger twin. Because I love to read and sometimes the story that I want to read isn’t there. There are the early career influences like Guy Gavriel Kay, Nancy Kress. These days, I’m inspired by authors like N.K. Jemisin, Rachel Swirsky, Zen Cho. The common thread is that when I read their work, I wish that I had written it or that I was capable of writing it. I’m working on short fiction, including a moon story. At novel length, I’m working on a Hitchcockian suspense-thriller with dragons. “The Phobos Experience” appears in the July/August 2018 issue of F&SF. Clicking on the image of Ms. Kowal’s latest book will take you to her website.